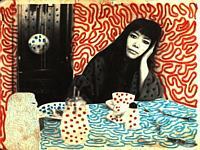 Yayoi and I first met in the Hague, Holland, in 1967. We struck up a good working relationship right away and had ourselves a nice spread in the long since defunct TIQ magazine. 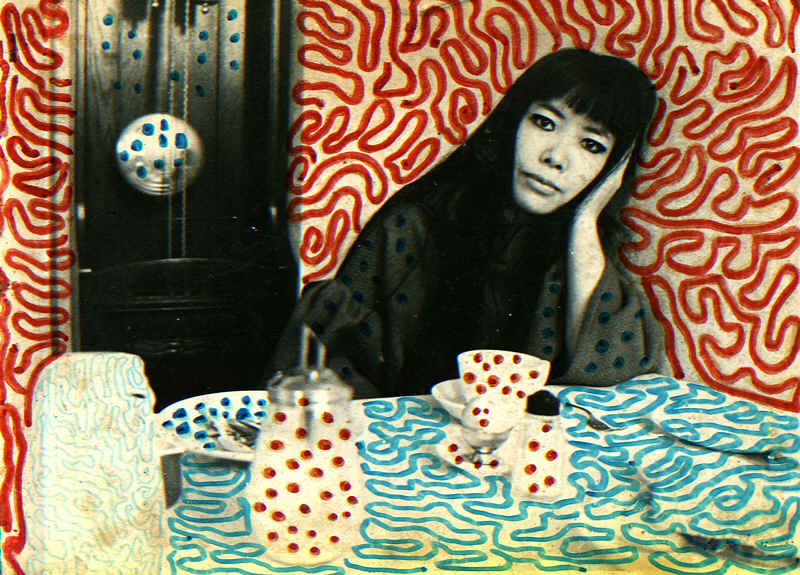 One of these photos, really a discard, turned up in the great 1998 Kusama exhibition (Museum of Modern Art, New York) where I stumbled over it on my first visit to MoMA. A weird experience! All photographs on this site are for sale: high quality prints.. Prices depend on size, starting from US$300 for an 8"x10"/20x25cms unframed/unmounted print. Send me an and we'll work it out.